Koreans eat ‘미역국(seaweed soup)’ on their birthdays. This custom derives from when moms have their babies, they eat 미역국 to supplement iron. They also have some special food for their birthday such as 불고기(Bulgogi), 잡채(Japchae) with a birthday cake for dessert. Do you know how to sing the birthday song in Korean? Click here to learn the birthday song in Korean. I love 미역 and 미역국, it is easy to cook and delicious! 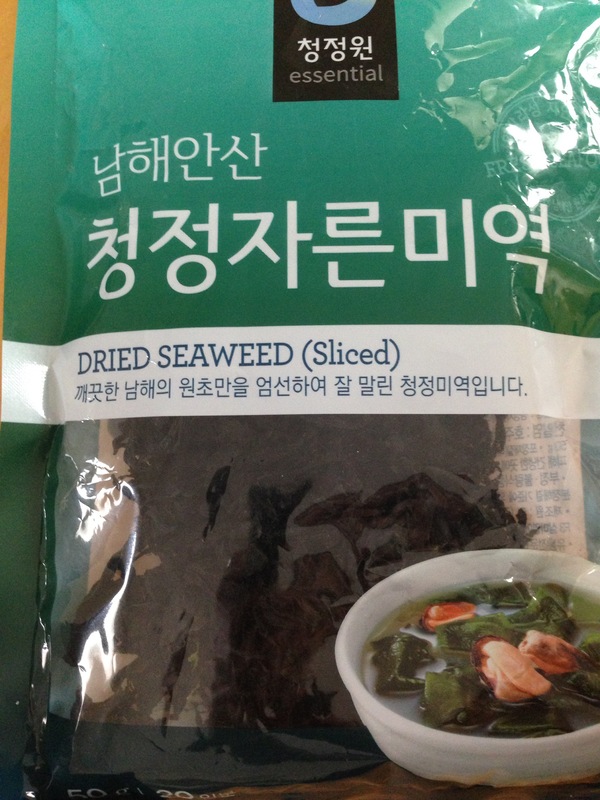 And don’t get confused 미역 and 김(dried seaweed) which is salty side dish.